Two years after becoming the world's first research team to successfully remove HIV-1 from cultured human immune cells, Temple University scientists have hit another significant milestone in their ongoing mission to develop a genetic cure for the virus. In a study published this week in Scientific Reports, researchers from Temple's Lewis Katz School of Medicine demonstrate that they can now effectively and safely eliminate HIV-1 from the DNA of human T-cells using a specialized gene-editing system. The study relied on a modified version of the CRISPR/Cas9 genome editing tool, a versatile system that offers the promise of eliminating genetic diseases and introducing new genes in living organisms. In the past, Temple researchers had used the technology to remove HIV-1 from normal human cells, but their new findings show that they can use the same tool to extract the virus from CD4+ T-cells, the white blood cells that attack viral infections. In a series of experiments, Temple scientists grew T-cells using blood drawn from patients living with HIV, then removed the virus from those cell cultures using the gene-editing technology. By sending guide RNA across the T-cell genome in search of viral matches, the tool was able to root out HIV strands and allow the cells to repair themselves without the virus. The results found encouraging evidence that this system can be developed as a treatment method both to remove the virus and protect cells from reinfection. HIV has proven resistant to cures because, as a retrovirus, it introduces replicating copies of itself into the genomes of its host cells. Antiretroviral drugs can control the disease in infected patients, but in order to support the immune system and prevent the onset of AIDs, they have to be taken on a continual basis. The researchers at Temple were able to demonstrate not only that they can permanently eliminate the virus in productively infected CD4+ T-cells, but also that their method doesn't appear to pose a risk of side effects or toxicity. After analyzing the treated cells, the researchers found no danger of mutations in genes located outside the targeted region. 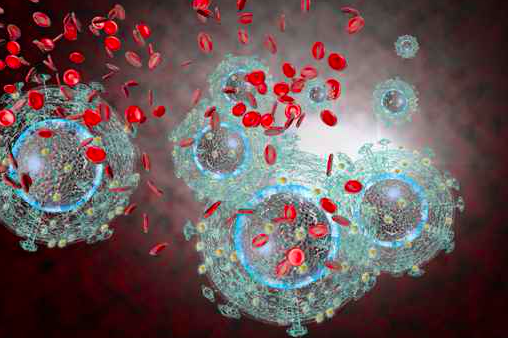 Targeted cells, meanwhile, grew and functioned normally after the removal of HIV-1. 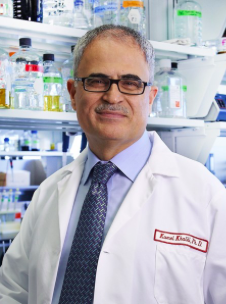 Dr. Kamel Khalili, professor and chair of the Department of Neuroscience at Temple University. While the research could still be years away from producing a viable HIV treatment, the effective deployment of CRISPR paves the way toward rodent and human studies. It also raises hope for similar genome-based treatments for a range of retroviruses that cause cancer and leukemia. “These experiments had not been performed previously to this extent,” Khalili said. “But the questions they address are critical, and the results allow us to move ahead with this technology."